This is my newest favourite card. It is really pretty in person; sorry I now see that it is a little blurry. I stamped the floral background with black ink onto the lighter side of a piece of Mink cardstock, using the Delicate Flower stamp set. 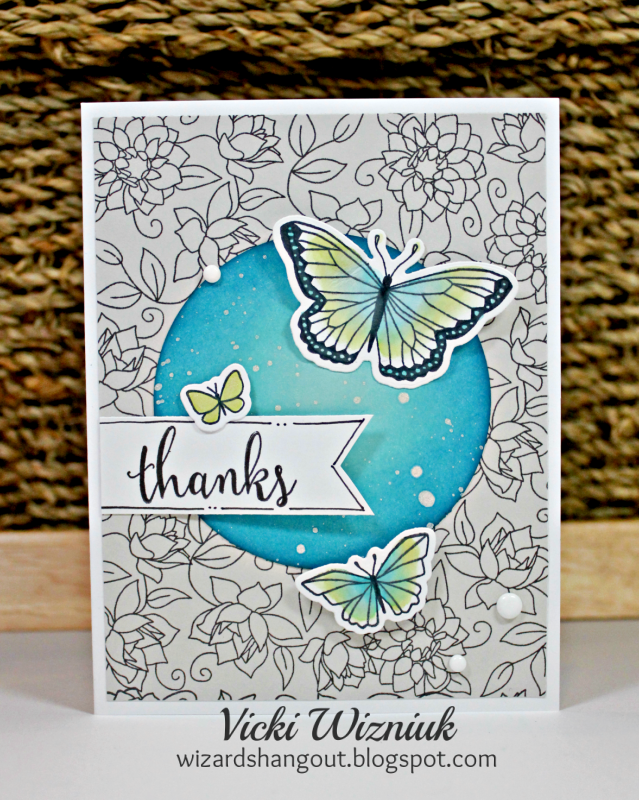 The butterflies and sentiment are from Chelsea Gardens Cardmaking stamp and Thin Cuts dies. Wow! Just gorgeous!! I was actually hoping it was design paper - but I guess being able to make all that I want is truly a better option! Thanks for the inspiration!